Recently here has been a big improvement in the quality of apps which focus on maths. I am a huge fan of using apps such as Explain Everything – which allow children to provide detailed explanations in their own words – the iPad can also be used to target specific skills in many different areas. The apps chosen here all provide high-quality activities with progression built in, but they also allow collaboration between children, encouraging the sharing of ideas and reinforcing vocabulary. Excellent app which has four activities designed to encourage collaboration and problem solving. Each activity has four levels of difficulty and as the apps come in different year groups they can get very challenging. Designed for two players, they naturally elicit high quality talk. Highly recommended! Take a closer look here. 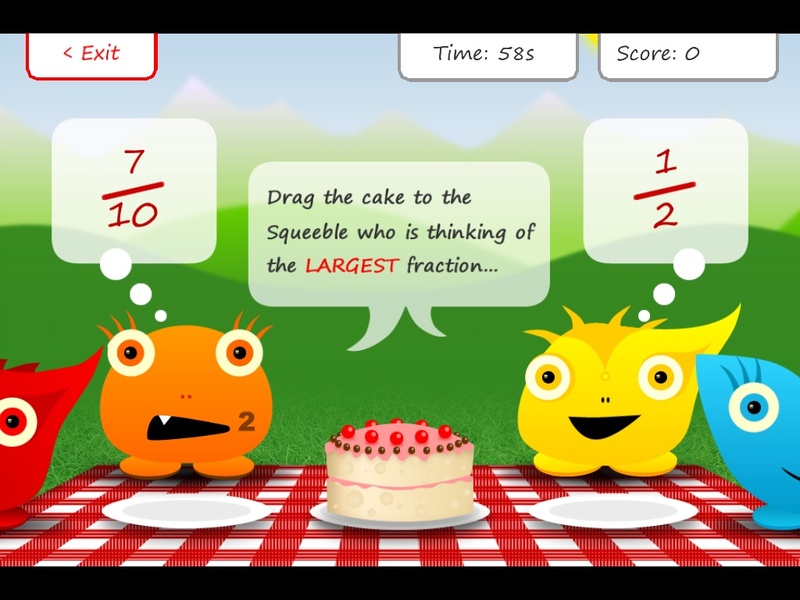 Squeebles – Fractions and Timestables Brilliantly designed, these fun games provide excellent opportunities to rehearse skills which many children find tricky. The fractions app covers comparing, equivalent and simple calculations and the timestable allows random practice as well as specific tables. You set pupils up with usernames on each app (number the iPads!) and they earn rewards for their efforts. The app also provides useful data on completion of tasks and errors made allowing the teacher to be in control. 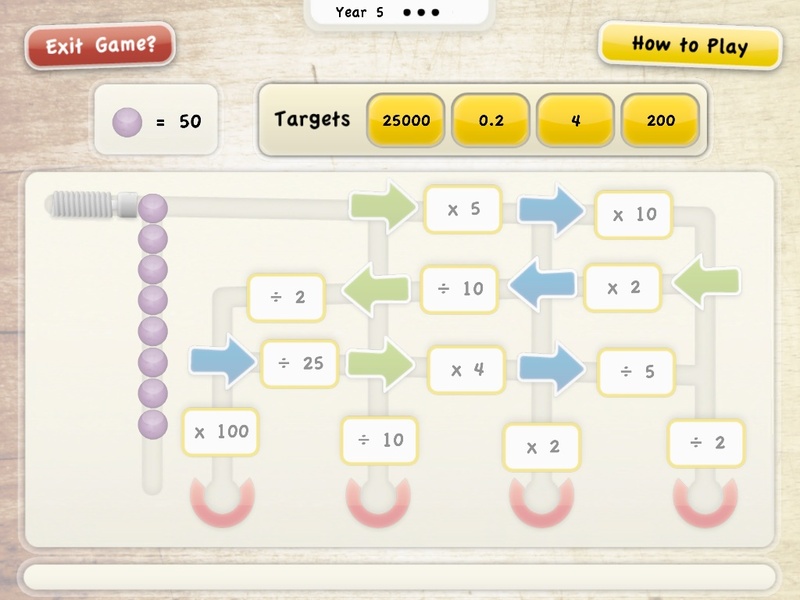 Have a look at the Multiplication game here. and the Fractions app here. 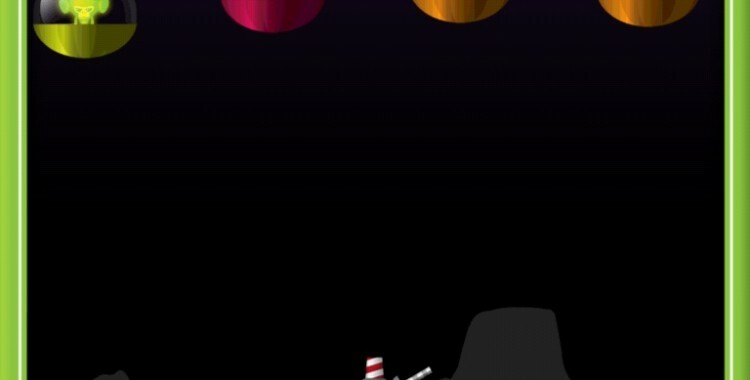 There are new Squeebles apps, detailed on the website. 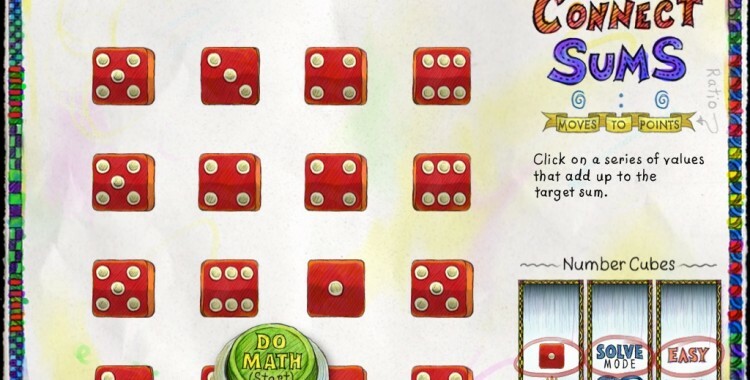 Maths Doodles and SymShuffle These apps have a really great look, very distinctive and friendly. 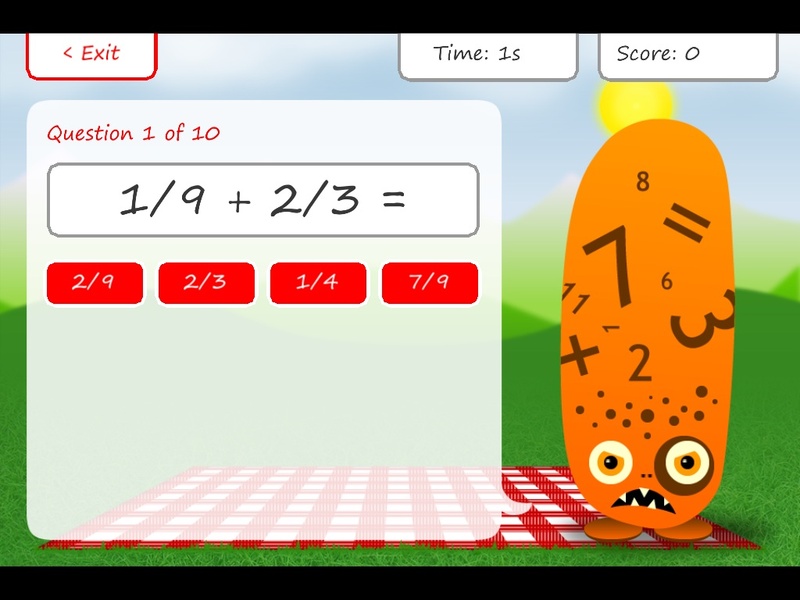 The ‘doodles’ app offers problems that need solving, and like the Talk Maths apps will really get the children talking. Mystery numbers, guess the number and place value are all covered here. Find out more here. The ‘symshuffle’ offers simple symbols, or pictures, that need to be reflected, translated or rotated in order to match. Look closer here. Both apps offer options which allow you to alter difficulty, play in different styles (such as a race against the clock) or have ‘hints’ on the screen. Great for Key Stage 2, the children will really enjoy using these apps. 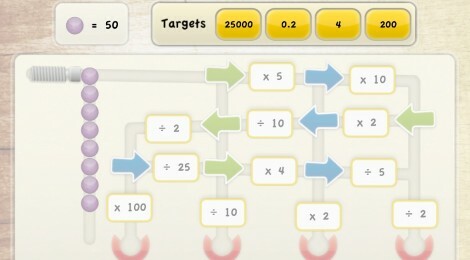 Motion Maths – Wings, Zoom and Hungry Guppy Very polished apps which cover very specific parts of the Maths curriculum. 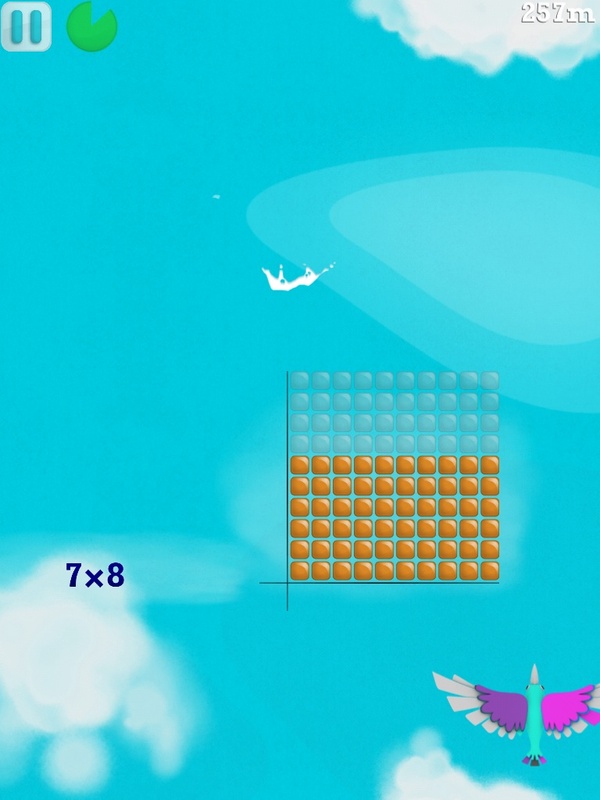 Wings is an excellent game which looks at number arrays and covers the introduction of multiplication. Check it out here! Zoom looks at number lines and ordering numbers and Hungry Guppy looks at number skills, creating numbers. All of the apps are very intuitive and designed to be child friendly with use of the motion controls and touchscreen combined. They are also very good at providing motivation with rewards and customisation options. The apps are free to try, though that can sometimes be a bind for schools as you could struggle with the in app purchase, however it does mean you can try them first. 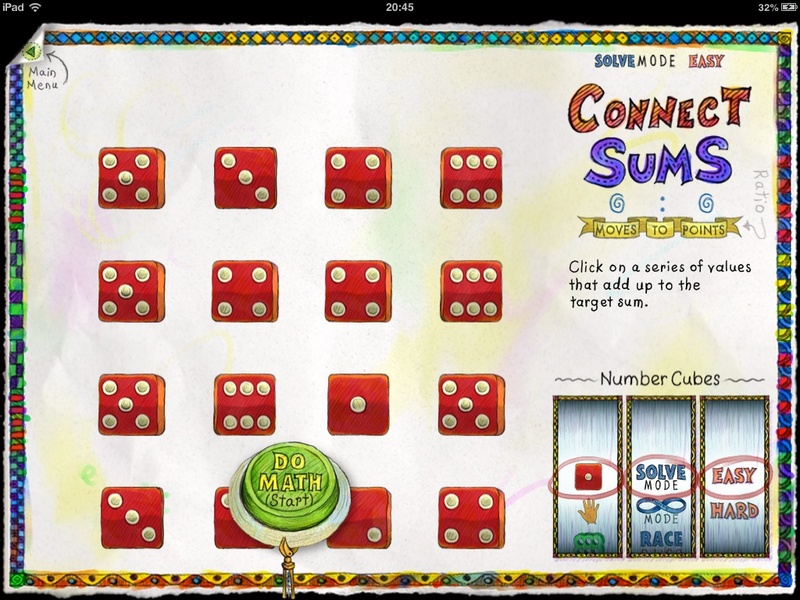 The friendly controls and gentle introduction to maths concepts makes these great for KS1. 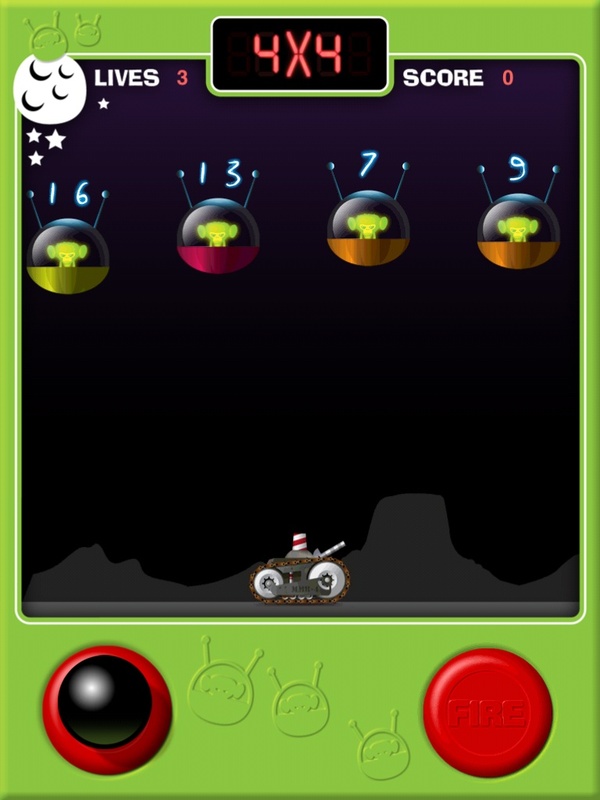 Invasion of the Moon Monkeys Another app perfect for targeted practice of Times Tables – this one has a very familiar feel to it and will really appeal to those children who already play games. There is a storyline, of sorts, and a competitive element as it keeps track of scores. Practice sessions, and the chance to make elements of the game and the maths harder means that it will provide a challenge for all. Really great for those children who just need that extra practice. Find out more here. Math Evolve Take a look here. As usual, great apps are coming onto the market all the time, but i’m really beginning to think that ‘less is more’ and these apps have chosen because they are cross year group and represent areas of maths which can traditionally be tricky. Posted by RS on January 29, 2013 in iPad, Maths and tagged iPad, maths, numeracy.